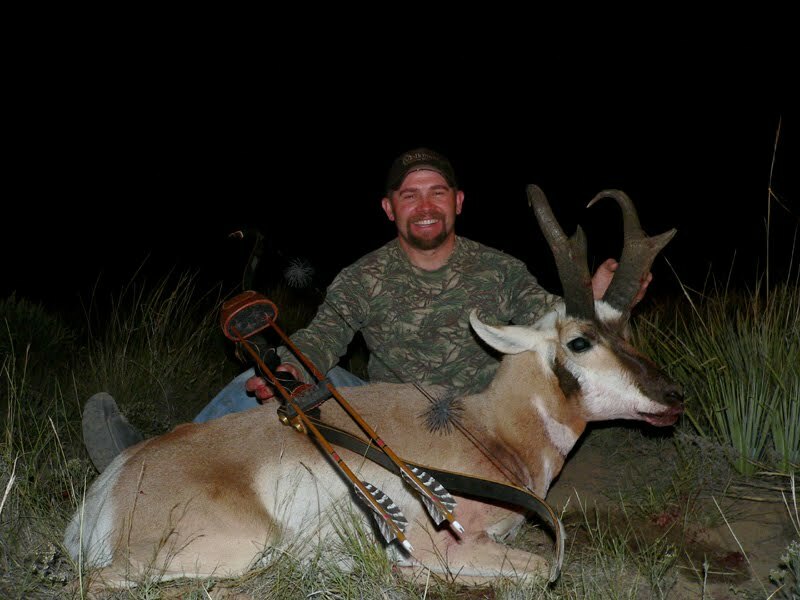 What better way to start off the RMSG blog than with a successful hunting story. In the future this blog will serve as a way for RMSG to write up about anything we think is interesting. Including hunting stories from ourselves and our customers, product reviews, tutorials, you name it. Just south of a little town that nobody wants to visit, and over a little hill that nothing seems to live on - there lies a water tank. Danny and our good friend George (left) found the tank after driving for hours without seeing a single antelope. Except for one little stretch, far off the main road, there is not many antelope in this area. Danny and George got lucky to find this little honey-hole. Their exploring paid off, and hopefully this place will make for excellent hunts in the years to come. On their first day of hunting Danny and George had a herd of antelope come in to their Double Bull blind set up. George won the coin flip that night, meaning he got to be the shooter. With his Gary Bassett recurve George made a great shot, and killed a beautiful "over-the-counter" public land buck.